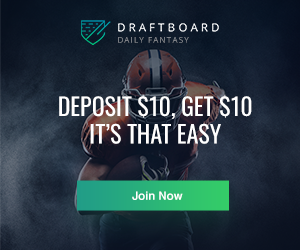 Hello everyone, and welcome to my weekly Top-30 Fantasy Rankings for Impact Rookies! 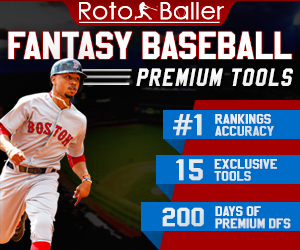 In this series, I will be going over the top prospects in baseball and discussing which ones figure to have an impact for the rest of this fantasy baseball season. The San Diego Padres made the biggest prospect splash over the past week, promoting Luis Urias to the big-league roster. With one of the best hit tools in the minors, Urias figures to have an incredibly high fantasy floor and could develop into an exceptional player if he can tap into some power. Rosters are expanding after this week, which means this will be the final top 30 impact rookies list for 2018. 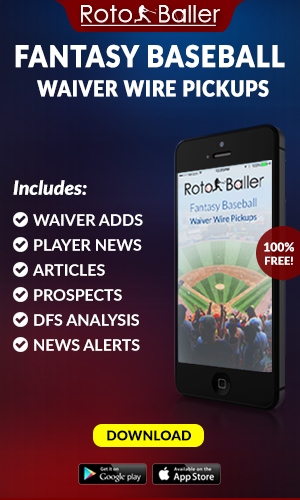 It will also be my final column for RotoBaller. I have enjoyed the past three years working here and providing readers with content on all the best prospects in the game. Thank you all for reading, and hope you my final story can help you all win your fantasy leagues! To be clear, this list is not the top 30 prospects in baseball. This is a list of the top 30 prospects who are likely going to rise to the major leagues and provide fantasy baseball value this season. The qualifications are simple: a player must not be on an active roster, they must have a clear path to the majors, and while they may have played in seasons prior to 2018, they must still have rookie eligibility. If a player is moved to the active roster of their team, they will be removed from this power rankings list and replaced. Jimenez appears likely to join Kopech in Chicago during the final month of the season, and like his teammate, his arrival has the chance to be explosive. He is one of the best power hitters in the minors and has the hit tool to make a more seamless transition to the big leagues. Jimenez is ready to impact fantasy rosters right now and could pay dividends for owners able to pick him up before he is promoted. Meadows has put together his most impressive stretch of baseball since he was traded to Tampa Bay, having already launched seven home runs in just 25 games and posting a .659 slugging percentage since he arrived. He also has maintained a strikeout rate below 15 percent with a .354 on-base percentage. Meadows looks like he’s finally starting to hit his stride and is looking the part of a top prospect, making him one of the best prospects to snag when rosters expand in September. Tucker could not even muster a .500 OPS in his short stint in the majors with strikeouts largely holding him back. He has clearly decided to take out his frustration on Triple-A pitching. Since Aug. 2, in 13 games, he has slashed .458/.492/.932 with nine home runs. Tucker is not just some prospect who had a hot streak in the early part of the season and faltered in the majors. Scouts believe in what he has to offer, and it will not be surprising to see him given plenty of opportunities to hit again in September. If he can carry over his flaming hot bat to Houston, he could be an incredible sleeper prospect for fantasy owners to pick up. Unlike Tucker, Verdugo has shown every chance he’s been in the majors that he belongs. Like Tucker, he has taken his frustration of not being up out on minor-league pitching. He has put together arguably his most impressive season to date, and should get a chance to push for playing time in September. With Matt Kemp now struggling and the Los Angeles Dodgers really needing help in the competitive NL West, Verdugo could see plenty of at-bats down the stretch. And with his bat, he could be a real boost to fantasy owners in need of some support. Riley has really found his sweet swing as of late at Triple-A. Over his past nine games, Riley has five homers with a ridiculous .290/.353/.839 slash line. Though he has still been plagued by strikeouts during the stretch, Riley’s thunderous power bat looks ready to contribute to a Braves’ team that is making its final stretch run into the postseason. He might strike out a bit too much in the big leagues, but the power could really help out fantasy owners looking for a cheap source of home runs in the postseason. Like Riley, Stewart has found himself swinging a hot bat at just the right time. Over his past five games, he has struck out just once compared to three walks, a home run and a .467/.579/.800 slash line. He seems among the most likely players on this list to receive a promotion given the rebuilding status of the Detroit Tigers and the fact Stewart is already 24 years old. 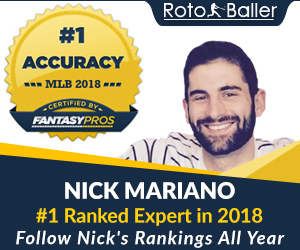 He could benefit from a taste of the majors before taking over a starting role in 2019, and could provide fantasy owners with plenty of pop down the stretch. Mejia has continued to mash Triple-A pitching since arriving in San Diego, and it would be stunning to not see him join Luis Urias on the big-league roster and give the Padres a glimpse of the future. Mejia is the best hitter among all the catchers in the system, and despite defensive questions, he should get a real chance of staying behind the plate. He might split time with Austin Hedges in September, but in two-catcher leagues and some other redraft leagues, Mejia could provide a bat few other catchers can offer. Though not quite as electric as Kopech, Sheffield is probably the closest pitching prospect likely to reach the majors the rest of this season to the type of impact he could have on fantasy owners. Sheffield misses plenty of bats and keeps the ball in the yard, an important characteristic pitching in the challenging AL East. The Yankees could use some starting pitching help down the stretch, and Sheffield seems the most likely candidate to provide that. If he is promoted, he would be worth owning in most 12-plus-team leagues, and possibly some shallower redraft leagues. Mountcastle has proven he is ready from a hitter’s perspective. All he has done throughout his minor-league career has been to hit. The glove hasn’t quite come along and he might eventually be forced to move to the outfield. But given the lack of depth Baltimore has on the left side of its infield, there’s still a chance he stays in the infield. If he remains in the infield and gets a chance to play in Baltimore this season, his bat is special enough that he could really help owners looking for some infield power bats. It has been a year to forget for the Washington Nationals, but having young star Juan Soto shine on the big stage has been anything but forgettable. The 19-year-old slugger looks like a franchise building block for years to come. However, he might not have had his chance to reach Washington this season had Robles not gotten hurt. Now healthy, Robles should be able to return to the majors and get some chances playing in the outfield with Soto and Bryce Harper before likely occupying a starting role in 2019. Robles is not a power-hitter, but will provide a nice batting average and plenty of steals. If he gets enough playing time, Robles could offer fantasy owners a nice speed boost down the stretch. Gohara missed a few starts in early August, but since returning, he has started to look a little more like his old self. Though he has lasted only 3.2 and 5.2 innings in his first two starts, Gohara has issued just two free passes and has not allowed a home run. The long ball has plagued him throughout this season and control issues have bugged him in the past, so his recent starts are a promising development. If he can make a few starts for Atlanta in September, Gohara can provide strikeout upside few other rookie pitchers can match. Barreto has put together his best season in terms of power output, but it has come at the cost of his batting average and strikeout rates. He is still striking out more than 30 percent and the average still sits below .260 at Triple-A. Barreto will return to the majors in September and could fill a utility role for the surging Oakland Athletics. With middle-infield eligibility and a promising power/speed upside, Barreto is a tantalizing fantasy prospect. He just comes with a fair amount of risk that he won’t hit enough to put those two skills to use. Luzardo continues his ascent on this list just as he has through the minors all season. Luzardo began the 2018 campaign at Advanced Class-A, but now has reached Triple-A. The numbers aren’t pretty over his four starts, but the stuff is legit and he could really help provide some stability in Oakland’s rotation while it tries to finish off its magical run to the postseason. Luzardo has just over 100 innings and could make a few starts for the Athletics if he is given the chance to pitch in the big leagues. With his upside, he would be one of the top starting pitching prospects to own down the stretch. Despite posting solid Triple-A numbers, Allard has been clobbered when he’s been up in the majors. The southpaw just could not overpower hitters in his first tastes of the majors. Allard has never been an arm to blow his fastball past hitters, but typically he pitches to contact well and can avoid the long ball. He has shown promise at Triple-A, but he will need to prove he can translate that to the majors. Allard should get another shot and might be worth a second look in deeper redraft leagues given his pedigree, but shallower leagues can leave him on the bench until he proves he can avoid too much damage. Brito only barely qualifies for this list because he still had rookie eligibility coming into the season. Though he has not received much of a look during the regular season, Brito could be a candidate to eat some at-bats during September. At the very least, he has earned that much. He has crushed Triple-A pitching this season while displaying improved patience and speed. Brito is not an electrifying talent, but he could be a productive performer for owners in deep leagues looking for some outfield depth. De Los Santos has strung together three straight quality starts, lasting six innings in each and allowing fewer and fewer earned runs in each one. While he hasn’t missed as many bats during that stretch, he has avoided the center of bats, having allowed just one home run. De Los Santos profiles more as a reliever, and it’s likely that’s the role he’d be used in during September for the Phillies with the chance to grab an occasional spot start. But in short stints, De Los Santos’ stuff could be electric and has the chance for some high strikeout upside. He could be a cheap source of whiffs for owners who can afford to start a few relievers in deeper leagues. Lopez has quietly had a strong 2018 season, especially since arriving at Triple-A where he has slashed .290/.377/.451 with seven home runs and four steals in just 49 games. Lopez does not gain a lot of recognition, but is a middle-infielder with the chance to see some meaningful at-bats for a rebuilding Kansas City squad in September. He will not be a game-changer for any fantasy owner, but he could provide depth when owners are looking for some at-bats in the playoffs. Thaiss saw his teammate at Triple-A — Taylor Ward — pass him over for the promotion to the big leagues. This was due in part to the fact Ward offers the ability to play third base while Thaiss is limited strictly to first base and designated hitter. However, Thaiss has certainly hit more than enough to warrant some at-bats in September. 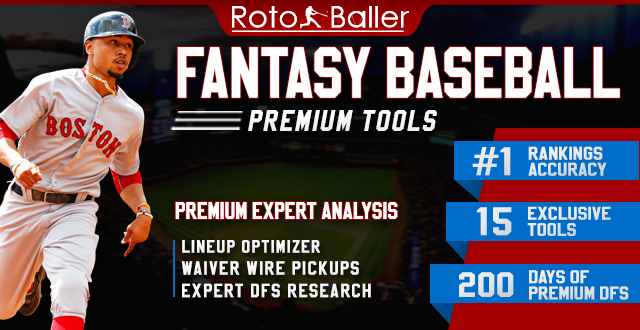 He offers fantasy owners a high floor of a solid on-base percentage and could be counted on for a few home runs given his swing improvements. Thaiss might be battling for playing time with Shohei Ohtani and Albert Pujols, but he should see enough time to provide at least a little value in some leagues. Garrett Hampson has played well since he was promoted, but if the Colorado Rockies want to make the strongest push to the postseason, they will need their best players in the lineup. And based on Rodgers’ season, it’s tough to say he’s not one of their best players. Rodgers clobbered Double-A pitching, and while he hasn’t done much in 15 games so far at Triple-A, his track record and scouting reports should help give him the benefit of the doubt. The chances Guerrero reaches the majors seem slimmer by the day, but there’s no doubt he would immediately become the top rookie to own if he saw time in September. His bat is one of the most special to come through the minors in years and he could really have an impact on fantasy playoffs. It is a big ‘if’ when talking about a promotion, but keep an eye on Guerrero because he could be a fantasy savior if he makes it up to Toronto.